Apple's acquisition of the Netflix for magazines is great news for those of us who still feel the buzz of earning a great piece of coverage and appreciate expert journalism. It's not just the quality of the coverage but the context too - the authority of a great magazine brand lends trust and credibility to the brands and products it features. Earned coverage is still the ultimate expression of a brand's desire to be pulled into the consumer's world - as opposed to simply pushing their messages outwards. 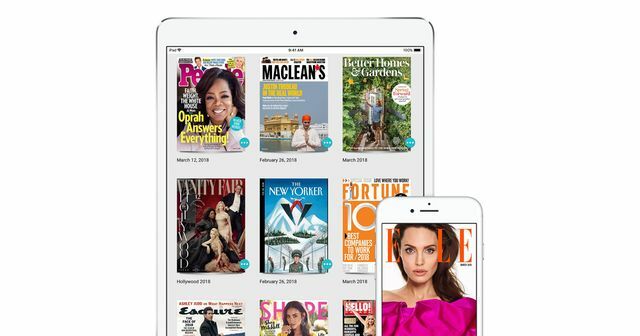 Apple to acquire digital magazine service Texture Apple today announced it signed an agreement to acquire Texture, the digital magazine subscription service by Next Issue Media LLC, which gives users unlimited access to their favorite titles for one monthly subscription fee.